I love reviewing Karcher Products as they always think outside of the box and their range of Vacuum cleaners carry this on, I was kindly sent the MV2 to review. This is still a work in progress review as it it more than just a vacuum cleaner. 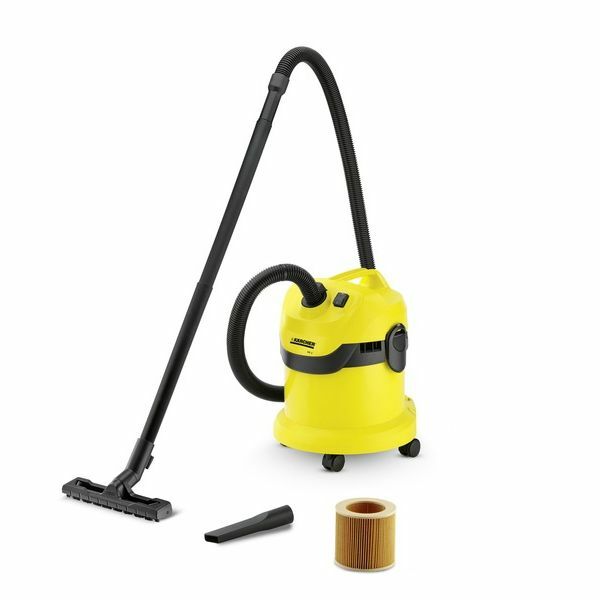 This compact cleaner is lightweight and crams a powerful 1200w motor into its body, which at first doesnt seem very powerful,but what it can pick up compared to normal household vacs is quite surprising. The MV2 is a wet and dry vacuum so it can pick up liquids from spills or leaks as easily as dust and rubble, yes you read that right rubble, with a whopping 12litre container. The MV2 is ideal for workshops, cars and garages as well as indoor use. It comes with a 4 metre cord, big enough for most jobs, and accessory pack including filter,and an onboard storage for the accessories its easy to assemble and use with easy to read instructions.